A bespoke kitchen project that combines food preparation, conviviality, optimization of containment spaces, creating multifaceted and versatile spaces that turn into the various stages of the day. 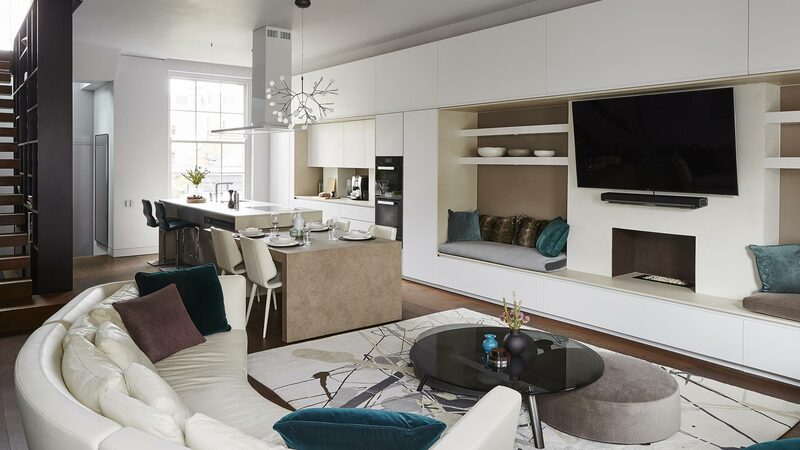 This project includes a bespoke kitchen with island and a composition of extending up to the living room, creating a harmonious space where the pleasurable family moments become a unique sharing experience. A project that incorporates special custom design elements, such as seats, fireplace, day shelves, witnessing. 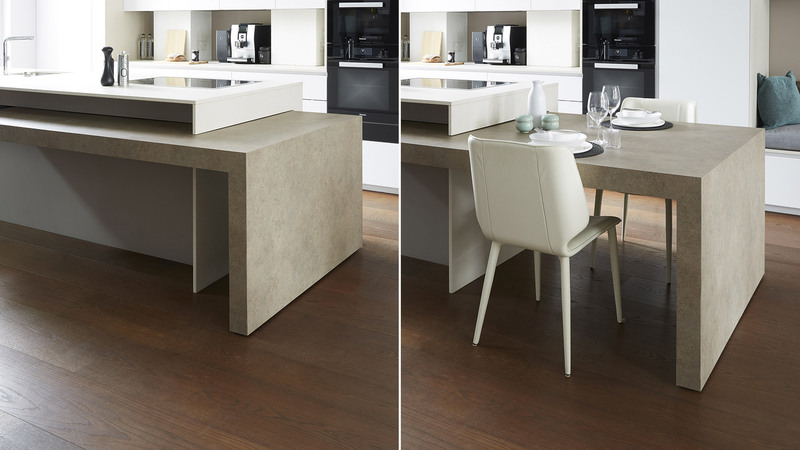 These elements shows the expertise of the Marche-based manufacturer TM Italia and its superior compositional flexibility. 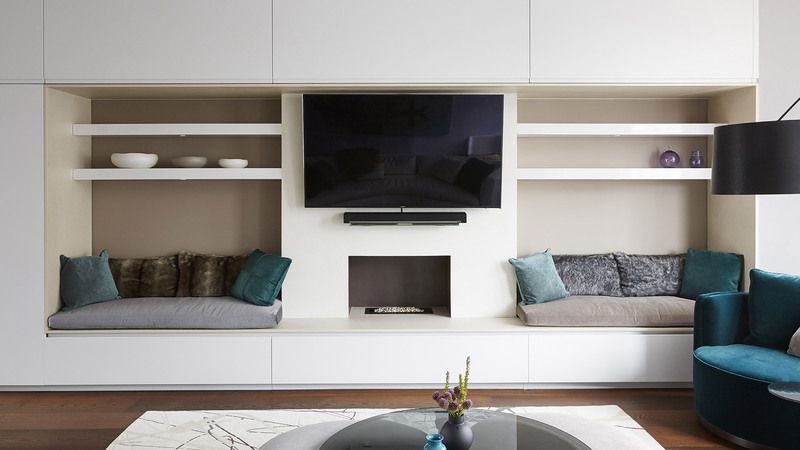 The wall columns extend to the living room to host a Home Cinema, an oil stove and cosy seating alcoves. In this way the kitchen project blends in with the living area in a stylistic continuum creating a harmonious and pleasant atmosphere. 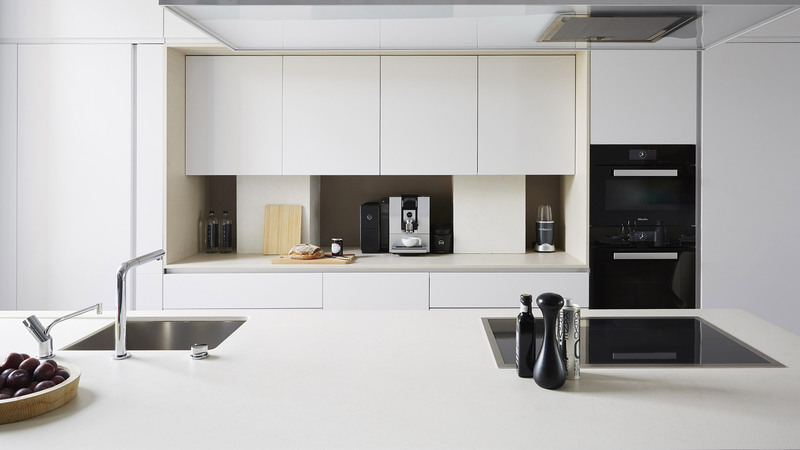 Lacquered white columns incorporate ovens, fridges and freezer and offer ample storage space. Near the island, a range of basements and suspended ceilings creates a completely framed operating space in Dekton Irok. The island incorporates a large operational floor with a convivial sliding table. The worktop in Dekton, which also extends to the sides, is equipped with a hob with induction and washing with double dispenser. The suspended hood extends over an important crystal ceiling with ceiling ties. On the front, the work surface extends over 30 centimeters from the base, obtaining a functional snack countertop. The dining table is covered with fossil laminate. The project is one of the best applications of TM Italia’s concept K6. 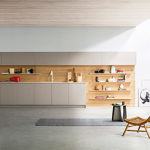 It’s realized by Daniele Brutto and all Hub Kitchens’s staff that has best expressed TM Italia’s design flexibility. The design project was tailored and personalized according to customer needs and realized by matching elegant and functional materials, like of the best “kitchen tailors” .